The Golden's Bridge Fire Department would like to wish you all a Happy and Safe Thanksgiving. We order our freshly cut Christmas Trees from a small Farm in Vermont. 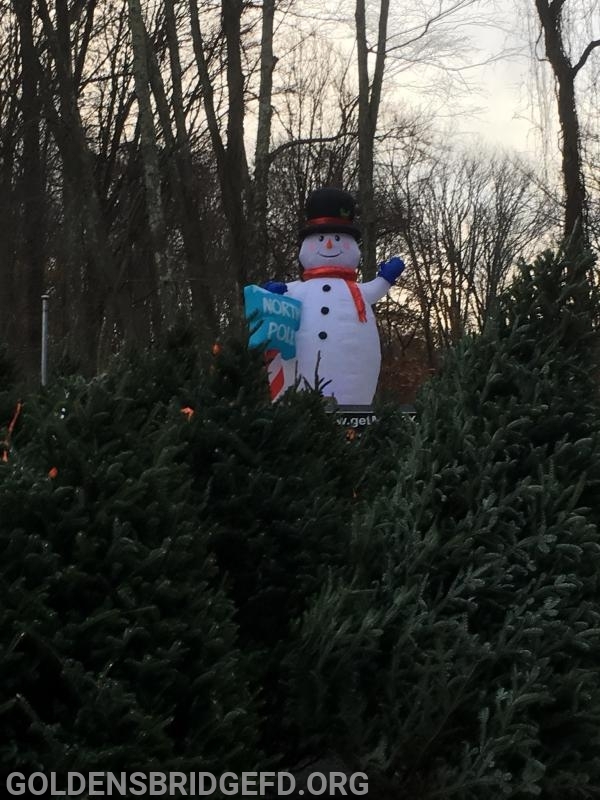 Ordinarily, we receive our trees prior to Thanksgiving for sales beginning the Saturday after Thanksgiving. Over the past 10 days Vermont has received significant snow, 14 inches in some areas. Because of this snow our tree delivery has been delayed. We considered purchasing a small amount of trees from another vendor, but, we could not assure the freshness, quality and even the type of tree. So we decided against it. We have been told that we should receive our trees sometime on Sunday. With that in mind we hope to open for business on Monday November 26th at 4:00 pm. Sorry for the inconvenience. We are as disappointed as you. If you have any questions feel free to contact us at whughes@goldensbridgefd.org or 914-329-4375. Thank you for you patience and support.